During my infancy at the Reader some seven years ago, I got to know Jessica Hopper through her writing. Although she was a regular freelancer for the paper, she was rarely if at all seen in the office. Instead, Hopper was part of a nomadic bunch of music-journo idealists who took obvious pleasure both in the freedom of the freelance life and in the writing itself. Hopper had a very personal and distinctive style that was never alienating to her readers but actually drew them in more than here-are-the-facts reporting. Whether she was documenting a few weeks she spent at the suburban teenage wasteland of Warped Tour or snarking at a soulless 20th-anniversary Nirvana box set, she was happy to muse at the anthill of the music scene through a magnifying glass—and for everyone's enjoyment, particularly her own, she'd sometimes refract a ray of sun here and there to scorch a hole in it. Now settled into a senior editor position at Pitchfork, Hopper has just released a new book, The First Collection of Criticism by a Living Female Rock Critic. As she puts it in a short preface, the hard-core, slightly tongue-in-cheek title "is about planting a flag" and "is not meant to erase our history but rather to help mark the path." Broken into eight parts (Chicago, Real/Fake, Nostalgia, California, Faith, Bad Reviews, Strictly Business, and Females), the work is an aughts-era hodgepodge of reviews, escapades, oral histories, investigative features, and stream-of-consciousness meditations from her Tumblr page, Tinyluckgenius, that flows in a happy sort of disjointedness. While Hopper often brings her own experiences into narratives—as in her EMP Pop Conference paper "Louder Than Love: My Teen Grunge Poserdom," which is her punk-rock coming-of-age story—the raw personal notes are reserved for the subjects of each piece. The collection shows off Hopper's range: it skates from "Sweet Things," a whimsical open letter to Sufjan Stevens, to "Will the Stink of Success Ruin the Smell?," a deconstruction of the underground venue the Smell, to "You Will Ache Like I Ache: The Oral History of Hole's Live Through This." There's also some serious journalism. An in-depth 2013 interview with Jim DeRogatis about his coverage of the R. Kelly sexual-assault scandal in the late 90s reveals that the former Sun-Times pop-music critic still struggles with the details he uncovered in his reporting. And Hopper's incredible 2009 Reader profile of Pedro the Lion's David Bazan details a front man's battle with his faith (or lack thereof) as he returns to perform at the Christian music festival Cornerstone, four years after being exiled for getting wasted on the festival grounds. Warped Tour sets off on its last hurrah this summer, which means now is a great time to revisit Jessica Hopper's excellent expose from her travels with the infamous mainstream-punk festival. 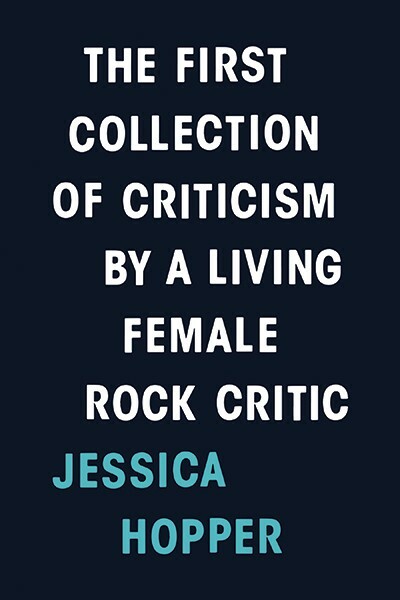 The success of Jessica Hopper's latest book, The First Collection of Criticism by a Living Female Rock Critic, has helped create opportunities that persuaded her to leave a dream job. A report on the state of teen spirit from the mobile shopping mall that is the Vans Warped Tour.